As the white cliffs get sheerer and noisier with seabirds, yet another downfall of rocks has to be negotiated. After scrambling over this obstacle your eyes are greeted with the sight of yet another boiler. 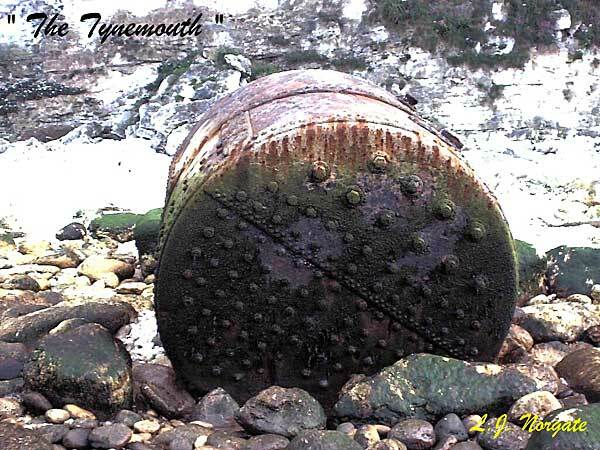 The “Tynemouth`s” boiler lies impressively on the shoreline against a backdrop of sheer white cliffs. 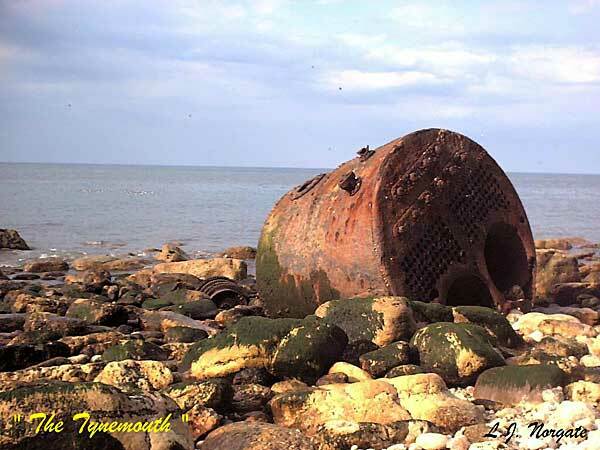 At low tide you should be able to walk to the boiler and to the rear of it. Here lie the remains of the vessels engine and some gearing.